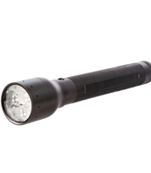 A Small Multi Purpose Handheld Flashlight. 2 AA Batteries. 6" X 1.5"